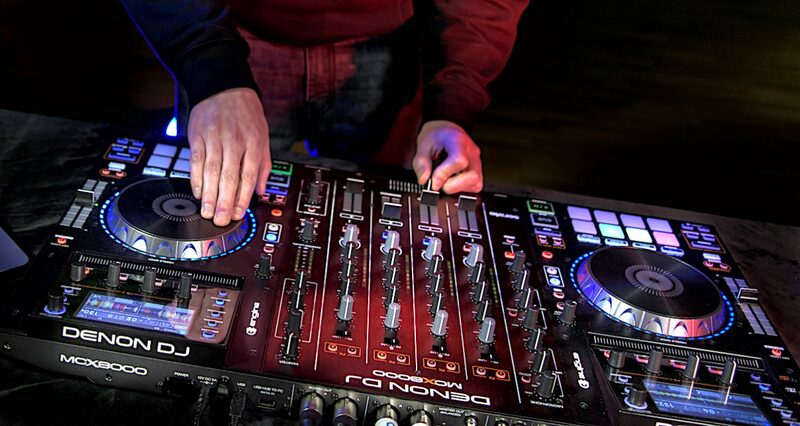 Denon DJ's MCX8000 was a well received controller that offered a great solution for pro party and mobile DJs: Serato DJ integration, standalone mixer and FX, and advanced playing from USB with Denon DJ's Engine-analysed libraries and playlists. Denon DJ’s MCX8000 was a well-received controller that offered a great solution for pro party and mobile DJs: Serato DJ integration, standalone mixer and FX, and advanced playing from USB with Denon DJ’s Engine-analysed libraries and playlists. The past 12 months saw lots of new hardware, software, collaborations and integrations in the world of DJing, many of which point to exciting things to come in 2017. Today, we take a look back at the important developments from 2016 that you need to know about, and make a few predictions as to what 2017 might bring. Perhaps the biggest change in 2016 in the DJ world has been the consolidation of DJ software platforms. Three big platforms have cemented their dominance, offering full software and hardware solutions to DJs – from small, entry-level controllers up to the pro DJ booth. Each platform offers its own distinctive flavour. Serato DJ remains the most popular choice among our readers, and while its biggest challenge going forward will be retaining a large enough roster of A-grade manufacturers who wish to license its software, it has scored a major coup this year by getting Roland on board, with the Serato-powered DJ-808 controller one of the most exciting new pieces of hardware of 2016. Serato wasn’t hurt by the launch of the Denon DJ MCX-8000, then the Denon DJ MC-7000, either: two well-received controllers that have Serato in the box and that did well for this re-emerging brand. Maybe the biggest news in 2016 has been the rapid rise of Pioneer DJ’s Rekordbox DJ. While still not as smooth or solid as either Serato or Traktor, this year has seen Pioneer DJ expand its range of DJ controllers that work exclusively with the relatively new Rekordbox DJ platform, and we’ve recorded a huge rise in the number of users of the platform here at Digital DJ Tips. 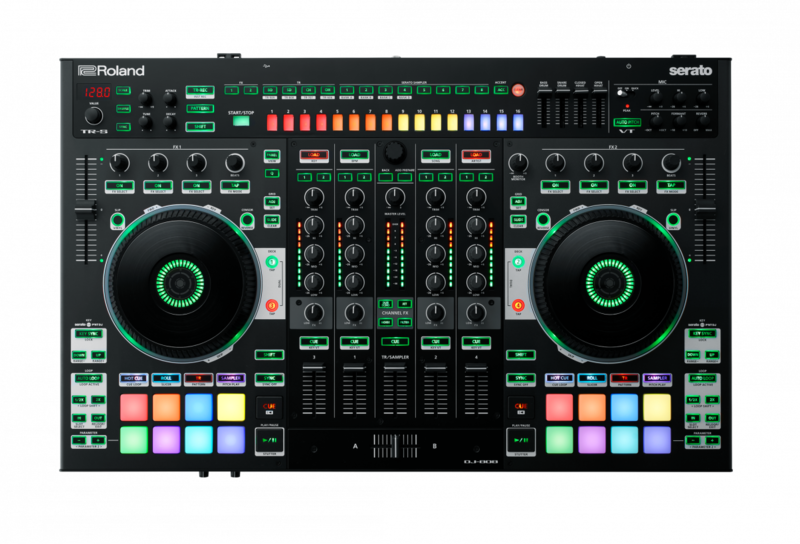 The Pioneer DDJ-RR is a compact, well-specified, and fun to use controller for Rekordbox DJ, and was launched this year. Rekordbox DJ has two advantages over the competition. On the one hand, Rekordbox DJ has grown out of Rekordbox – Pioneer DJ’s library software – meaning it offers a fully featured way for DJs to look after their collections (especially important with iTunes becoming less and less friendly to DJs). 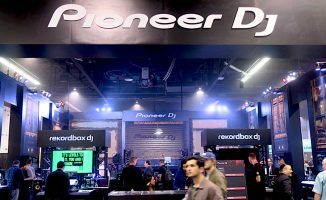 On the other hand, Pioneer’s pro DJ booth gear also works with Rekordbox, both directly, and – more usually – through exporting a playlist or collection from Rekordbox on a Mac or PC onto a USB drive, and plugging it in to the venue’s gear to DJ, minus the laptop. In other words, Pioneer DJ offers the most complete DJ solution out there, from bedroom to booth – if (and it’s a big if) you only want to use Pioneer DJ gear throughout your DJing career. 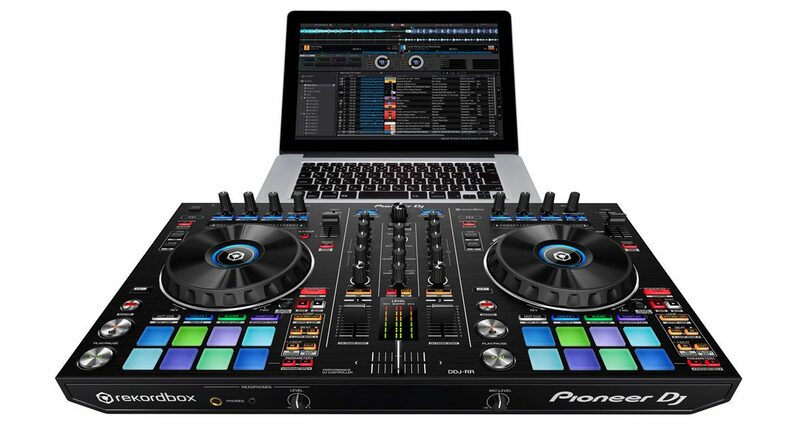 That said, Pioneer DJ has recognised that a big number of DJs use Traktor and Serato, and both its Nexus and Nexus 2 ranges of equipment play fine with both those other platforms: Plug your laptop running Traktor or Serato into such a system, and the mixer sound card, and the media player controls and screens spring into life; in effect, the Pioneer DJ system becomes a huge DJ controller. A welcome curveball in the software arena has been Ableton’s launching of Ableton Link. 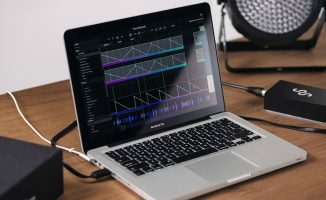 Ableton Link is a technology designed to keep Ableton Live – the company’s popular production software – ticking away in time with other music apps over a wireless network. But once it’s built into any software, that software can communicate with any other similarly equipped program, independent of Ableton Live. Ableton Link promises WiFi integration between all types of devices and software platforms: A huge leap forward for creativity between musicians and DJs. Already it is possible to sync Serato, Traktor, Maschine, Launchpad and many more, cross platform (Mac, PC, iOS) and cross brand, both with Ableton Live and with each other. 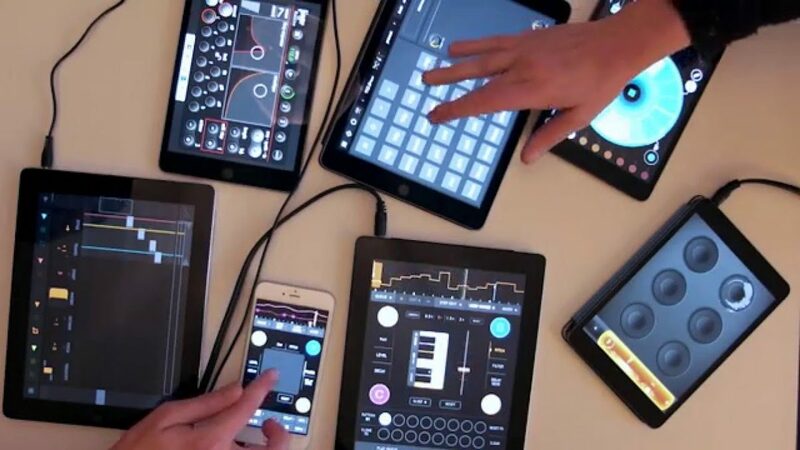 Creativity now need be constrained by neither brand nor hardware device, which is exciting stuff for creative DJs. 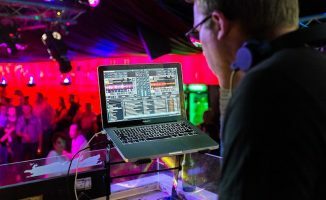 Of the other brands, Virtual DJ is the one that’s seen the biggest decline among our readership this year, perhaps due to the lack of official hardware partners – although the platform is still the choice of many, especially in the mobile community. Looking forward a few years, though, it’s becoming increasingly hard to see a major place for it, or other, smaller, brands such as Mixvibes Cross DJ or Deckadance, as the bigger players continue to develop full ecosystems for their users as just described. One smaller player that is worth watching, we think, is Algoriddim, the company behind the djay range of apps. Its djay Pro platform, which works across Mac and iOS, is easily the slickest Apple DJ software, integrating the best of all with iTunes and also offering Spotify integration, and it gained a pro-level four-channel controller this year as Reloop launched the Mixon 4, designed specifically for use with it. In hardware, again it’s been more about consolidation than revolution this last year. 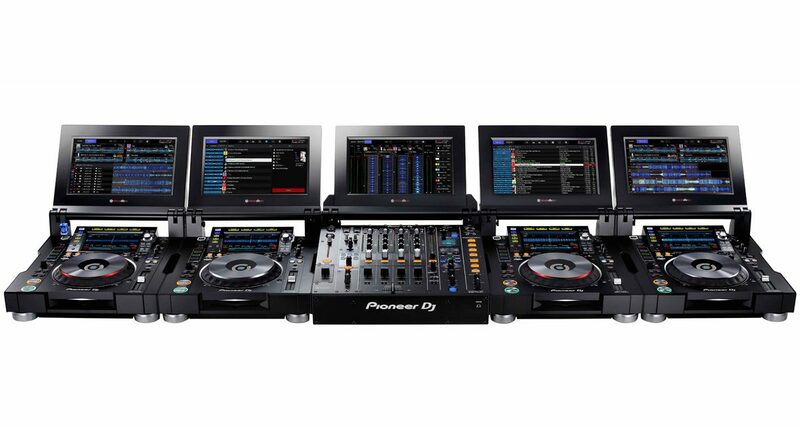 Pioneer DJ’s festival-ready TOUR1 system comprised of the CDJ-TOUR1 and DJM-TOUR1, and was launched this year – undoubtedly the ultimate Rekordbox DJ system. But Pioneer DJ looks set to finally have some pro booth competition, as Denon DJ has strongly hinted that 2017 will see it launch an assault on that sector, which will definitely be a fight to relish. 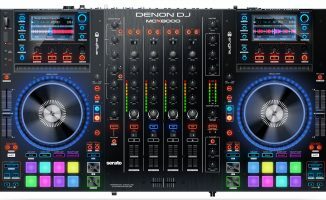 (Denon DJ is owned by inMusic, a company that controls a large number of brands including Akai Professional, M-Audio, Numark, and Rane – which it bought this year – so if anyone can challenge Pioneer DJ…). Meanwhile Allen and Heath added the Xone:PX5 mixer to its stable, with Richie Hawtin launching the Model 1 mixer too, and new brand Mixars outing the well-received Mixars Duo scratch mixer. Outside of the pro booth, as previously mentioned, we’ve seen Roland enter the DJ fray with its innovative DJ-808, incorporating a step sequencer and sampler and drawing on its heritage as the company behind the iconic TB-303, TR-808 and TR-909 instruments; also as previously mentioned, Reloop has offered the Mixon 4 that works with both Serato DJ and Algoriddim’s djay Pro, and features a slot for the iPad Pro for DJs wanting to use iOS with it. It’s a fine controller. At the lower end of the market, two highlights were Numark adding the Mixtrack Platinum featuring nice displays within the jogwheels themselves, and Pioneer updating its DDJ-WeGO to the DDJ-WeGO4. Roland’s DJ-808 is an intriguing and unique controller, with a full step sequencer built into it. Finally, there was movement in what can be called the “hybrid” controller sector, too, this year – meaning all-in-one devices that can work with laptop software or with music on USB. Indeed, perhaps the controller that caught people’s attention the most in 2016 was the Denon DJ MCX8000: A pro-grade four-channel controller with built-in screens that works with Serato DJ and also with music prepared on a laptop but played from USB. It – alongside 2015’s Pioneer XDJ-RX – is a controller that offers the “best of both worlds”, and whether 2017 sees more controllers like this appear or not, these controllers have definitely proved popular among DJs wanting more than one option when it comes to how they DJ. As ever, a lot has happened this year, and trust us there’s a lot to come in 2017 (we’ve seen some of the plans of the big names…). We think that the biggest win for DJs are developments that allow different DJs, producers and musicians to play together, whatever their choice of gear or platform. After all, technology should help us to be creative, not put up walls. And on that note, we’ll close this roundup – see you again same time next year! What was your favourite development in 2016? What are you looking forward to the most in 2017? Let us know your thoughts in the comments. Can someone tell me if a wireless mic system will respond to the talk over feature on the Pioneer DDJ SX2? The wired mic works just fine but I am considering a wireless system from Kam. If there are any users of such out there with experience your knowledge is most welcome! Phil, what are your projections/ predictions for 2017 in terms of DJ companies merging or going out of business , and who are they? For 2017 I’ll still be waiting for a pro controller that has it all!, including usb, built inn computer, software/hardware integration, and a retractable hd screen at least 15-17″ not those tiny little screens that annoyed the crap out of me. Virtual DJ works with everything. I couldn’t imagine having to use something else. djay Pro is fun but I only used it on my MBP for mixing with Spotify songs. On the iPhone, DJ Player is hella more professional. All I want to see in 2017 is a mixer like the Xone:23C but that allows me assign effects to individual channels. I’ve been using an ancient Denon DJ DN-X600 combined with a new KAOSS PAD KP3+ to great effect. I’m shocked that most affordable mixers don’t allow for that.